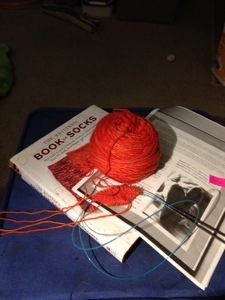 I saw something on my YLS’s group board on Ravelry the other day – about knitting to the Olympics. Whaaaat? Say I? The Ravellenic Games?? Sounds like fun! I’d like me a piece of that action. So, after reading up a bit on it I decided, what the hey? I’ll give it a lash. I’ve never taken part in a KAL before. 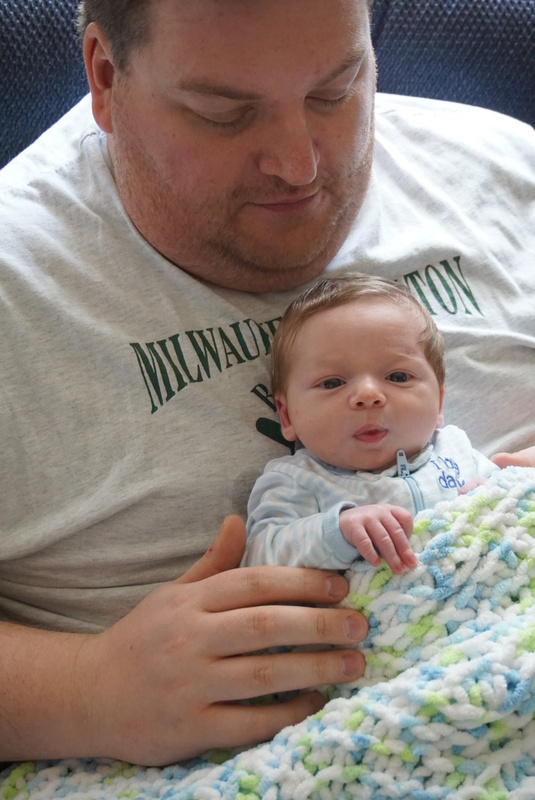 My schedule is normally pretty crazy and it’s hard to keep up with any kind of group of more experienced knitters. I’ll be going along then BAM! I have a string of 12-14 hour days and I’ve fallen behind the group. Now, I’m sure I take things way too literally, but that’s kind of the place I’m at with my knitting right now. 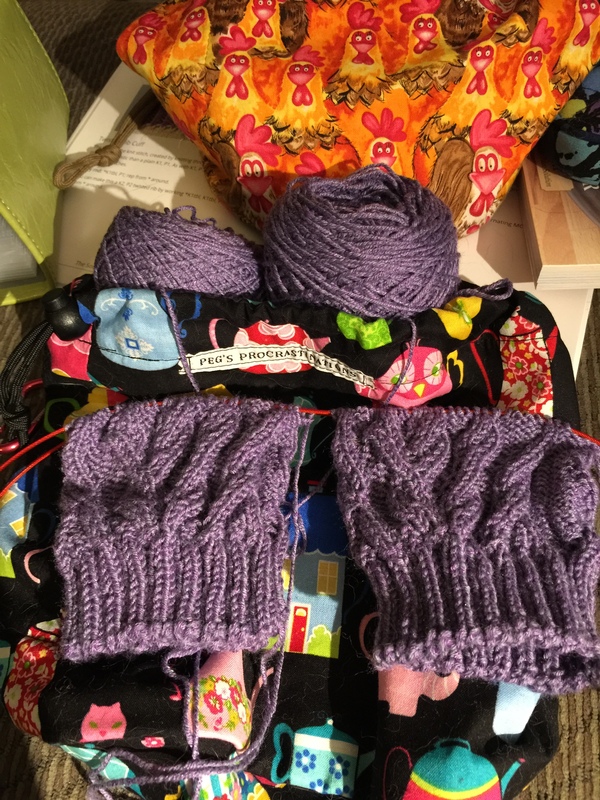 I’m still (mostly) following patterns slavishly – not really brave enough to strike out on my own (well except for the legs of my socks… and my fingerless mitts… and that one vest I made without a pattern… but those are all simple, uncomplicated projects). In general, if I have a pattern for something I follow the pattern (also unlike sewing where I open the envelope, pull out the tissue and pretty much toss the instructions sheets in the trash – not there yet with knitting). Much the same with the KAL’s I’ve tried – if I’m not keeping up with the group I get discouraged and usually drop out. But this one is different. You work at your own pace. You pick your own project and materials. 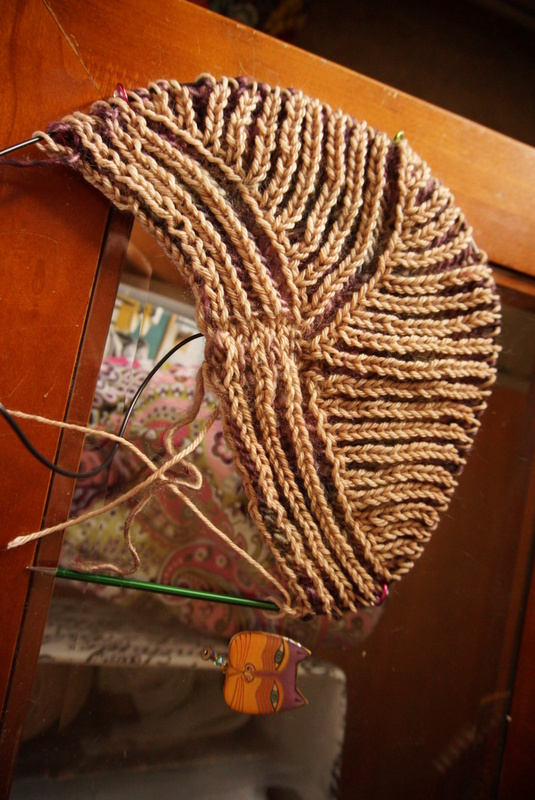 If you want to knit a super-bulky scarf at 6 SPI then go for it. If you want to knit a delicate, lacy shawl with 14 charts (TERROR!!) then go for it. I decided on middle-of-the-road for myself. 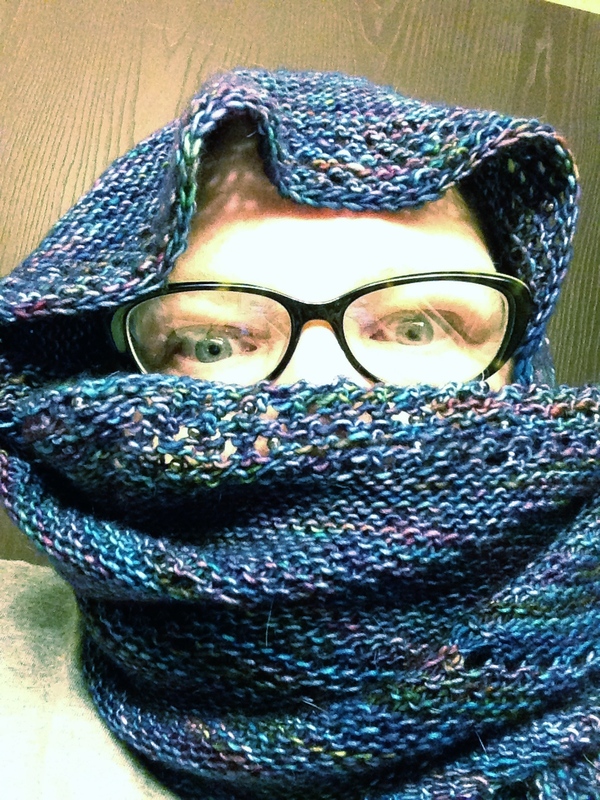 I entered the Cross Cowl. After a stop at Cream City Yarn in Brookfield (http://creamcityyarn.com) I settled on the Brae Cowl (above). Now you have to remember – I do not consider myself an experienced knitter. The only colorwork I’ve done thus far was in the Camp Hoodie that I made for Becky. Remember? That little checkerboard pattern is all the colorwork that I’ve ever done and now I’m going to do an entire piece? Granted, it’s a COWL for gosh sakes. A little cowl – hardly something to be afraid of. Sheesh! But, what the hey? 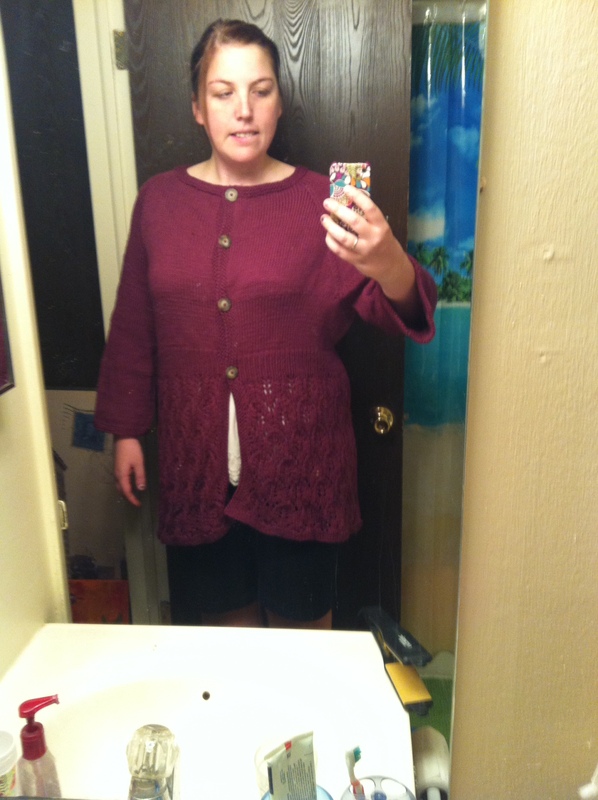 I bought 3 hanks of Cascade 220 and joined the mass cast on. 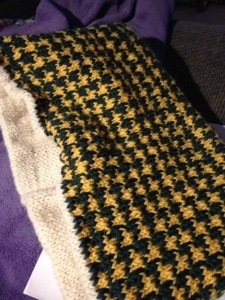 In honor of my favorite sport and team (and inspired by the jacket that I had on) my colors are green, gold and cream, so I named my project the Green Brae cowl – yes, I know – cutesy. I don’t care. I wanted something to wear with that jacket and a knitted scarf would just have been too bulky. Now, as if the colorwork wasn’t enough this little project has an entire seam of Kitchener stitch. EEEEEKKKKK! A technique that I’ve done twice and failed miserably on both times. Well, we can worry about that when it comes. So – we start. The cream is the lining. 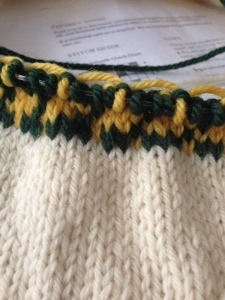 It is knit up from both ends and joined in the middle with the dreaded Kitchener. But, not too bad a start, huh? I got into a rhythm. 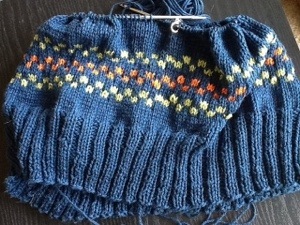 I’m a continental knitter, otherwise known as a picker so it’s very natural for me to use both hands for colorwork. I hold the base or darker color in my left hand and throw the accent or lighter color with my right. This also helps me keep my strands correct, in this case the green on the bottom and the yellow on top. After I got over myself I started to really have fun with it. 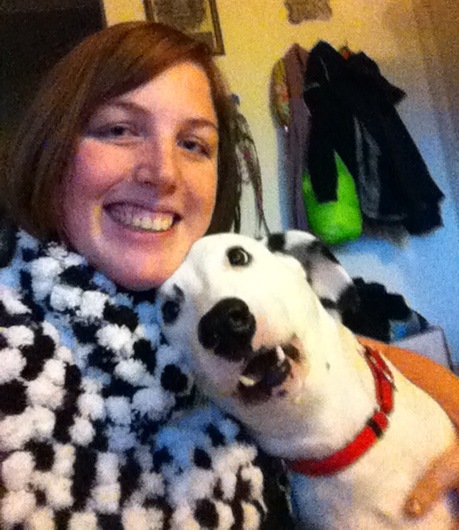 Even Max got into the action! Then, suddenly it was done! That second shot is the join. I can see the line of the join, but I haven’t blocked it yet, so I’m hoping that will work itself out. I made a couple little bobbles on the Kitchener, but the directions in the pattern helped me immensely. Her instructions overall are quite well written. 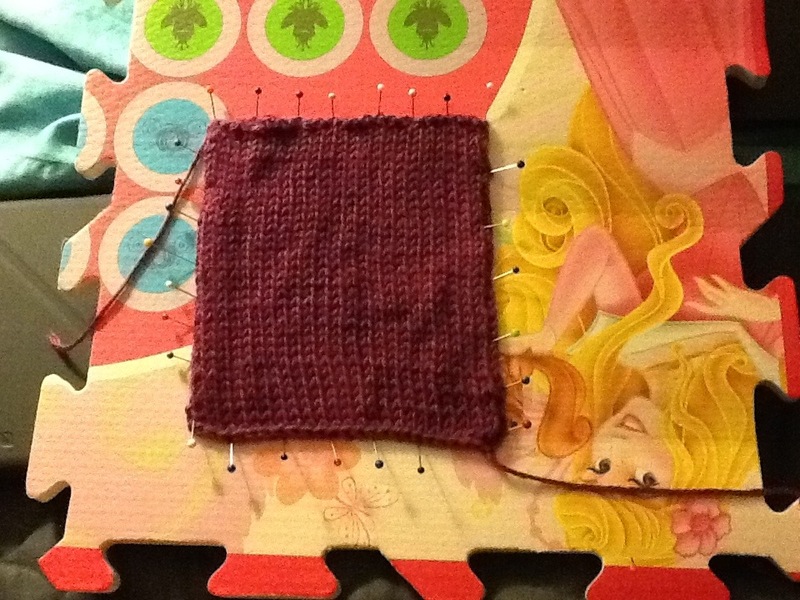 Oh, I almost forgot – it was also the first time I knit from any sort of chart! So tomorrow I block and Sunday I turn in my entry at CCY. So, maybe this was a little (like tiny) personal Olympics of knitting. Tome the Olympics has always been about challenging yourself, doing you best in the company of the best in the world. 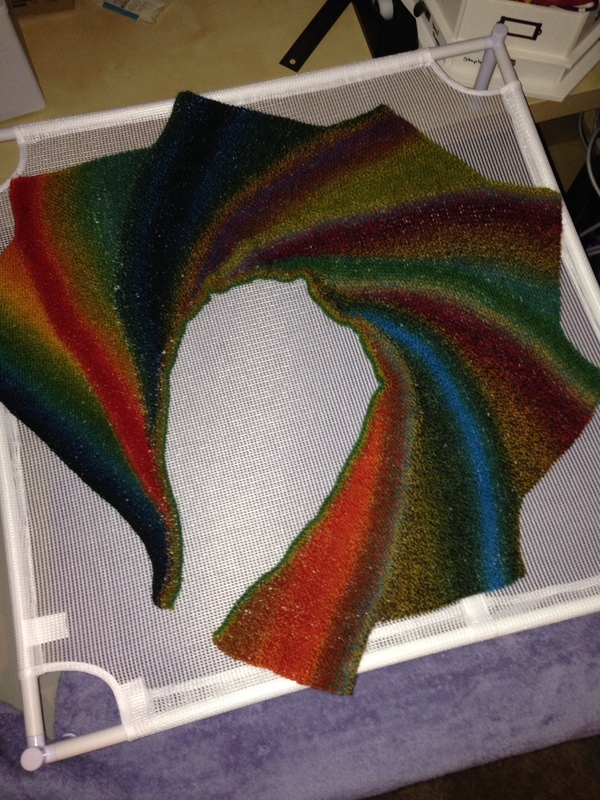 Well, my little cowl is retry damn good for me – learning new things and reinforcing techniques. I’m ready for the podium, Mr. Putin! So simple. 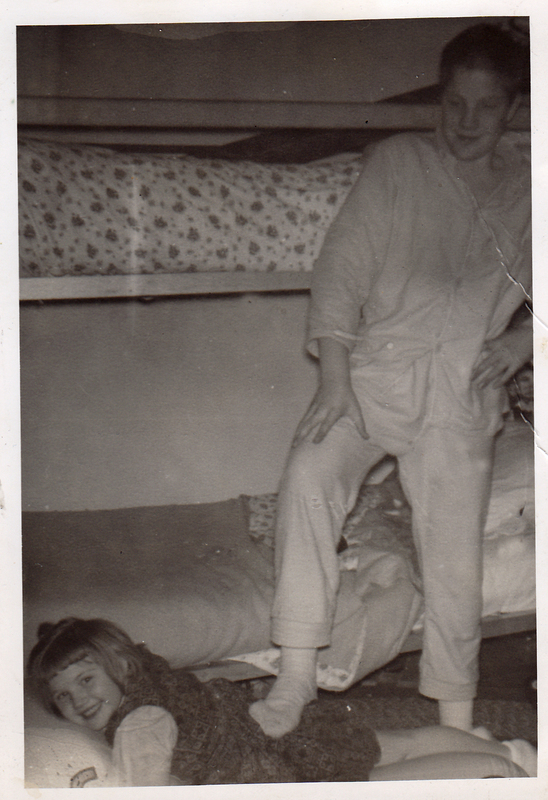 And garments that looked totally crappy. Oh, I wore them. 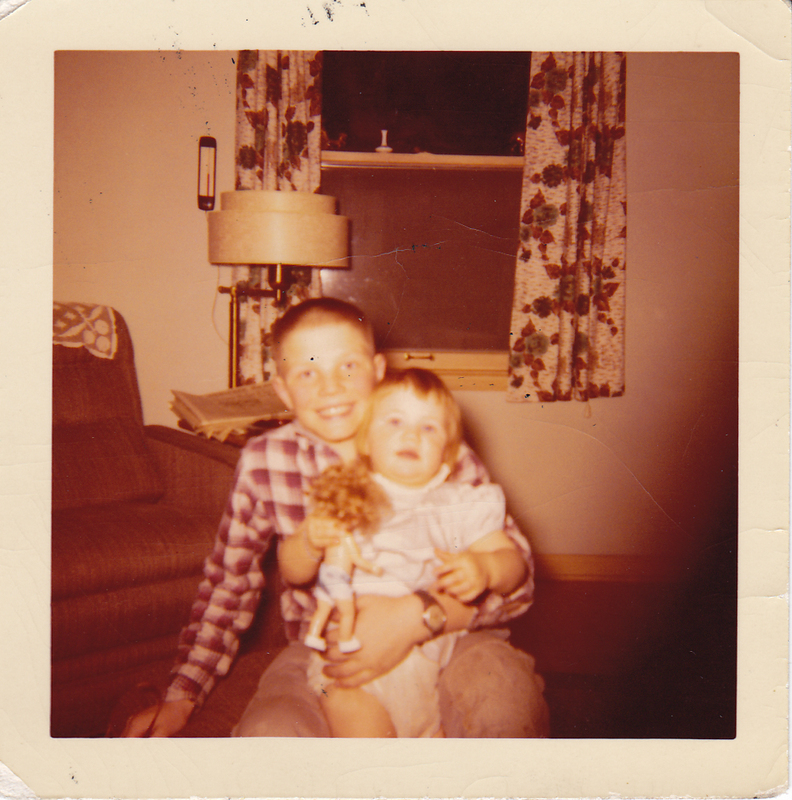 I remember that, when I was in college my Sister-in-law knitted a sweater – I think it was supposed to be for my father? Mother? Somebody… Anyway that thing hung down to my knees, it was tight and yet completely misshapen. But I wore it. Nearly every winter day (it was Tucson, Arizona – it wasn’t that cold) for almost 5 years. I remember a sweater I knitted when I first moved to upstate NY. Hung on me like a gunny sack. But I wore it until it wore out. I don’t like to waste things. So this little guy in the photo (like my blocking mat? I don’t know what princess she’s supposed to be but she comes in handy!) 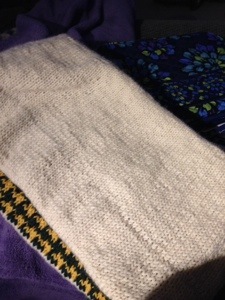 is a swatch for my next big project – another sweater for Becky. This time we reversed. She picked out the pattern and I picked the yarn. This is Valley Superwash from WEBS (yarn.com) in a beautiful dark magenta. 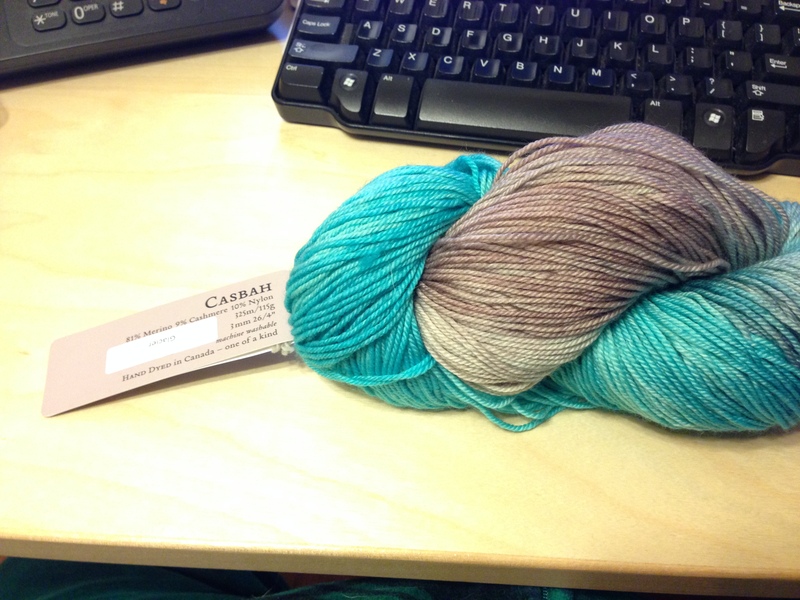 This yarn is very soft and lovely – I can’t wait to work with it – but I’ll have to wait until tomorrow to check my gauge! 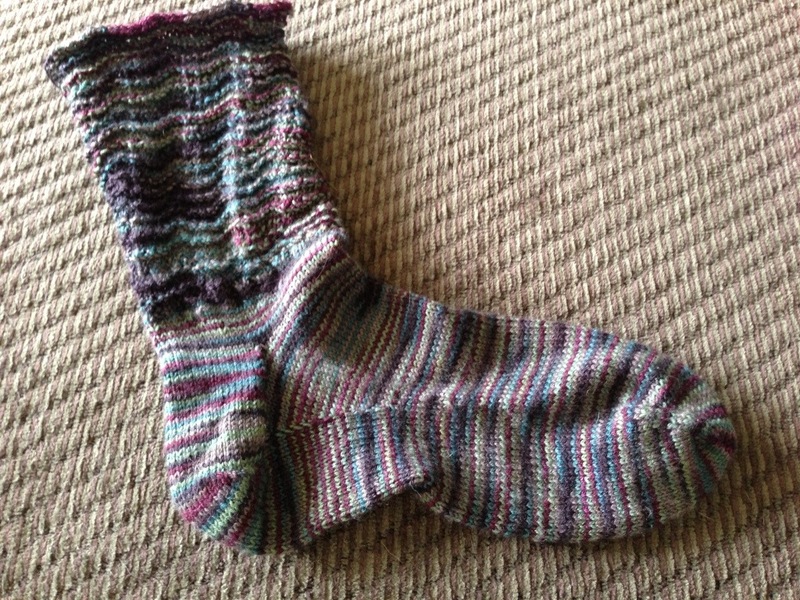 This is Lorna’s Laces Shepherd Sock yarn in a colorway called Christmas at Downton. Now, as I was a huge fan of the show up until the end of season 3 (SPOILER: they killed off my favorite character – I may not be back for season 4) I simply had to have a skein of this yarn. I have one skein of Lorna’s – a Solemate in Flamingo which I bought as part of a fund raiser for breast cancer research, so I’m familiar with the yarn. 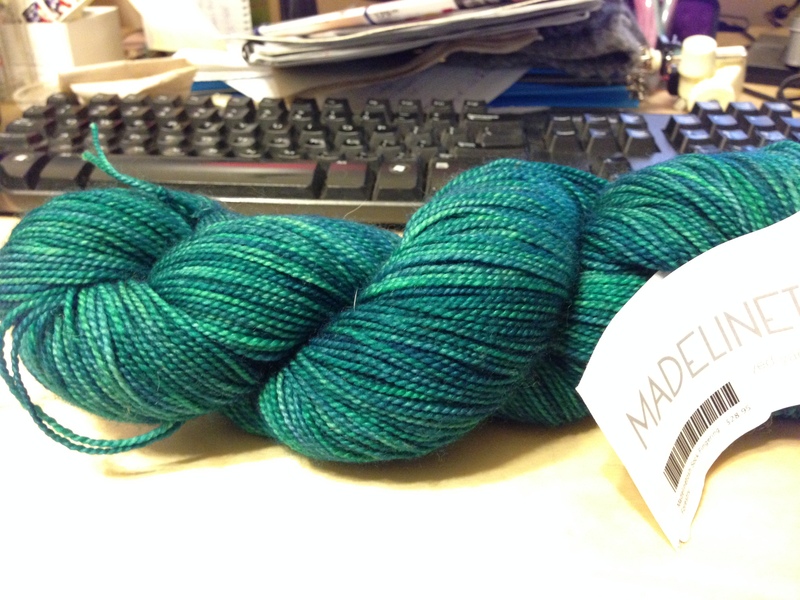 And this colorway really is evocative of the Christmas season in that grand pile. The toe, foot and heel came off without a hitch. 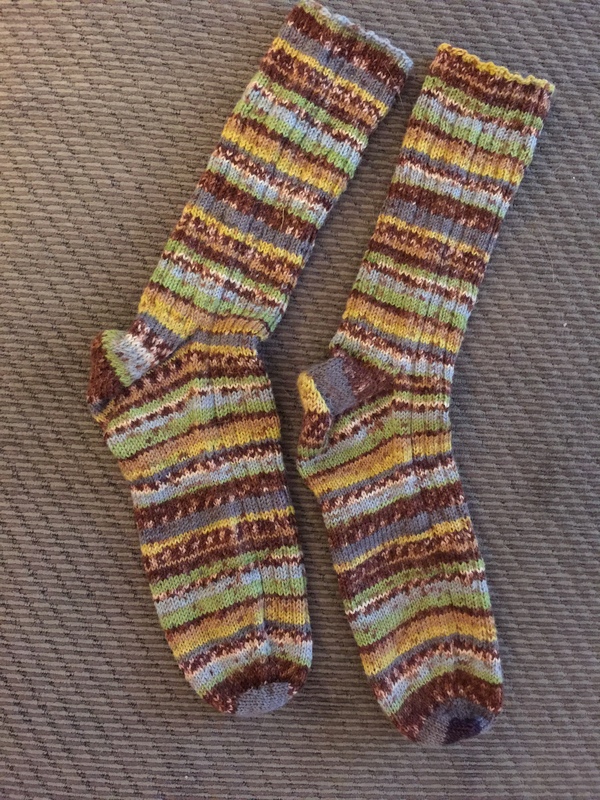 After a bit of practice at it I’m getting pretty fair at knitting socks – and fair warning you’re going to see a lot of socks here. 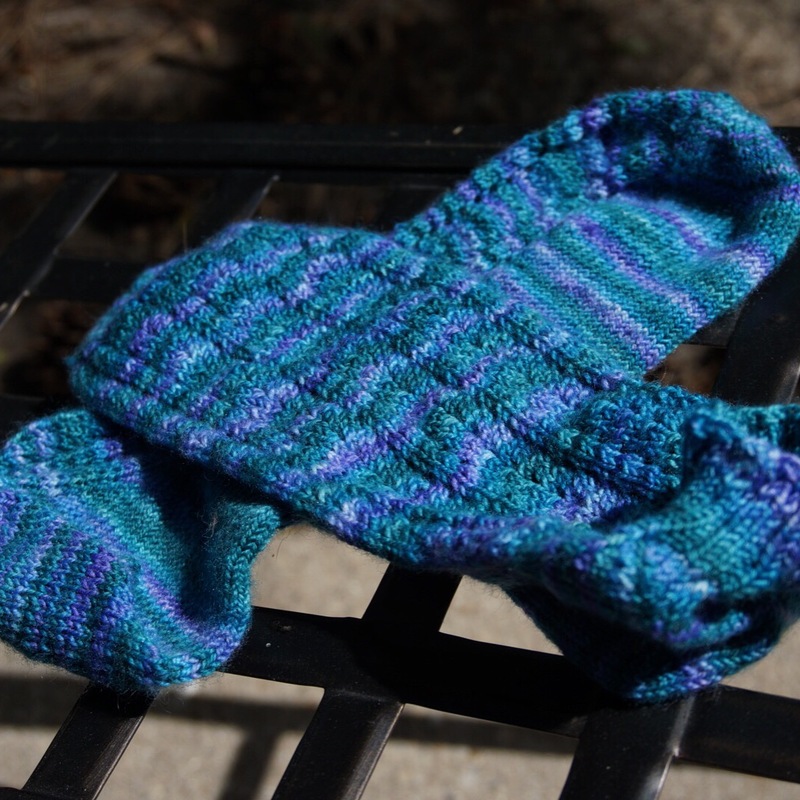 I tend to knit my usual toe-up pattern then go wild with the cuffs. 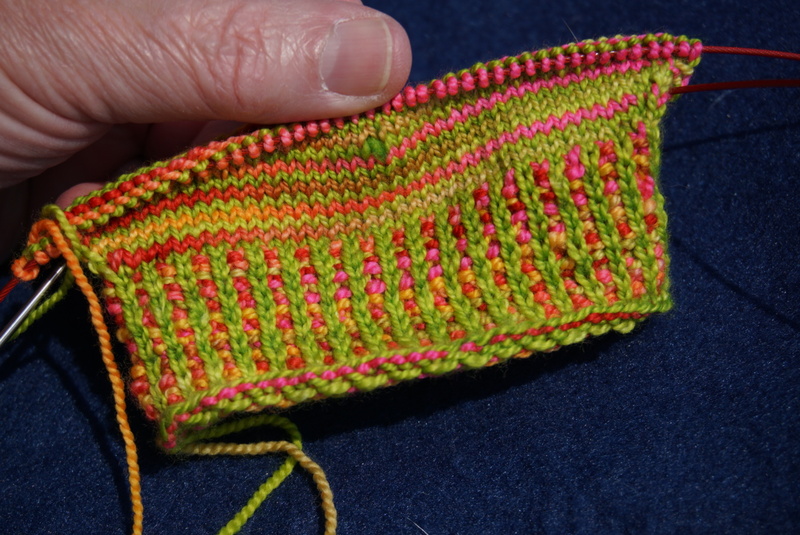 I look through my books to find a stitch pattern that I like, work out how many stitches I need and go – I knit the cuff until I have just enough yarn to do a super-stretchy bind off and done! 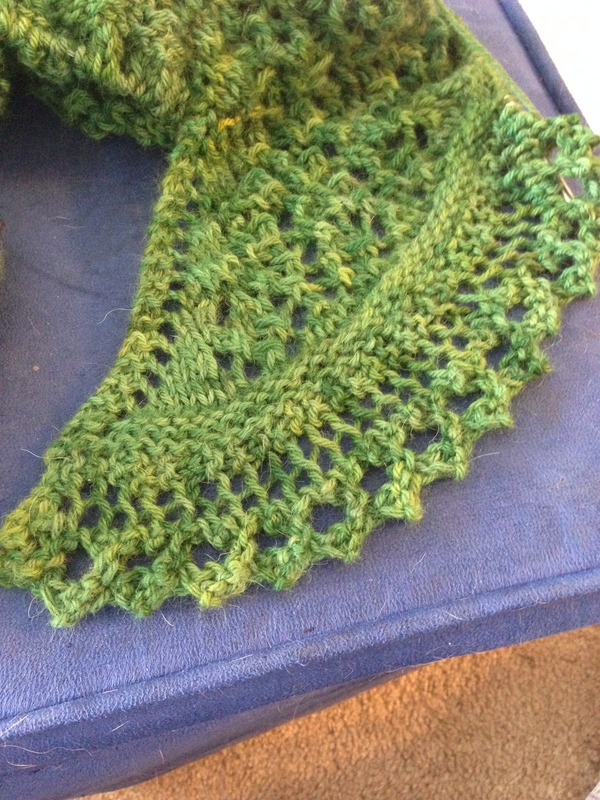 But, sometimes I have trouble making a stitch pattern work. That was he case with this one. I putzed and fussed and cursed and ripped back. Sometimes I had an extra stitch or two at the end of the round, sometimes I was short a stitch – I simply could not make this blessed pattern work! 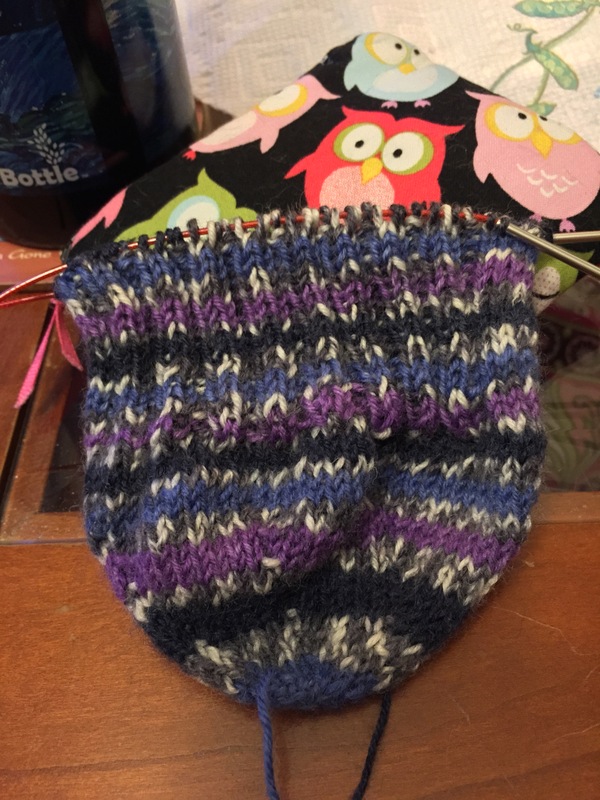 Now, normally I would just rip it back to right above the ankle (I leave about an inch above the heel before I start my pattern stitch) and would just do a plain rib, but this time I was determined to understand where I was going wrong. So, since I had to stop out to the yarn shop anyway to pick up a skein of Spud and Chloe sweater I took my book along to see if they would help me read the stitch. 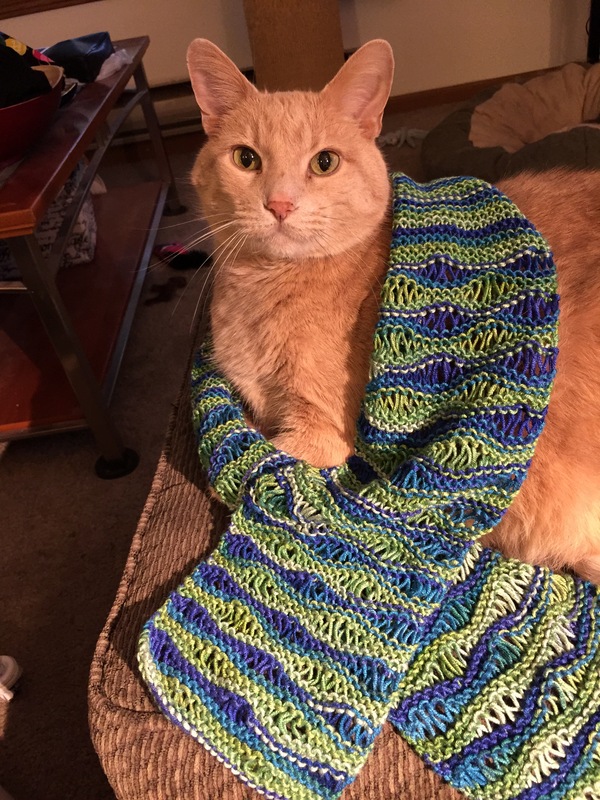 Sometimes, when another person reads the stitch they can see if there is a misprint in the book and I was beginning to wonder if this was the case here since I was doing everything I could think of, including counting the pattern out loud to the cats. I didn’t bring my work because I didn’t want that to bias the interpretation on the stitch pattern. We poured over the pattern, counted it out, figured out the repeats, everything we could think of and it was written correctly. Using the number of stitches I was I should not have had any problems. I went home, thinking on the entire drive that there had to be something in the way I was working that was causing me to go wrong. 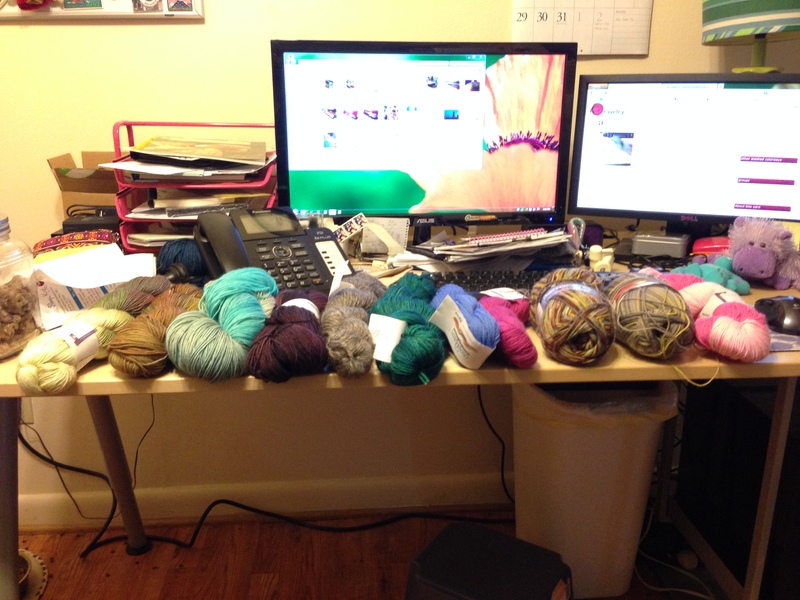 When I got home I gamely took up my needles and counted again and that’s when something that Lisa said struck me. She said “Well, since you’re working the magic loop method you have 36 stitches on each needle, which is half of 72 and also divisible by 9…” as she tapped on her calculator. 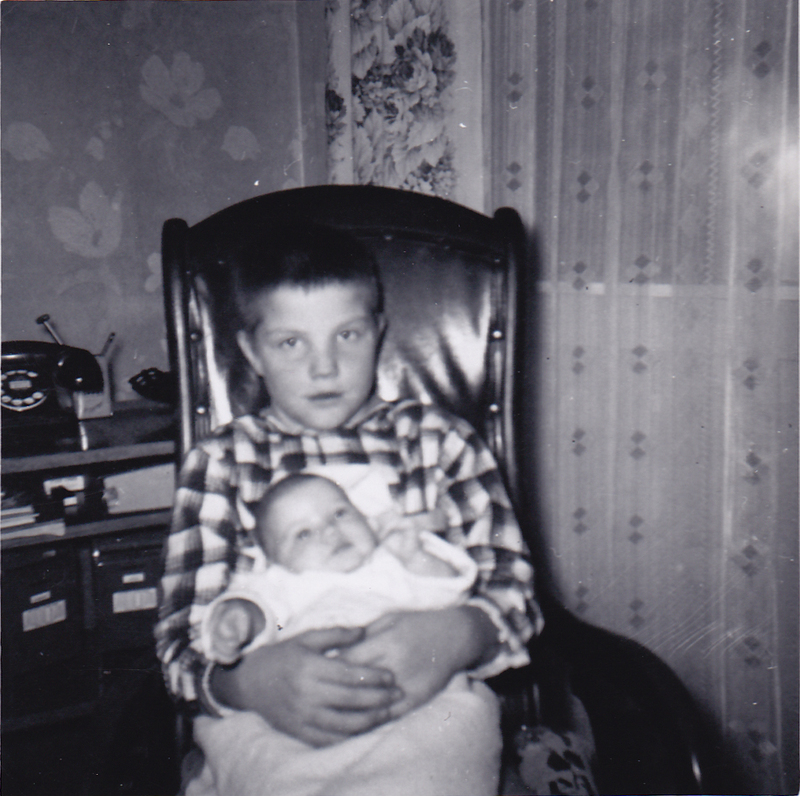 But I didn’t have 36 stitches on each needle – I had something like 41 on one and 31 on the other or some such weird distribution – definitely not symmetrical. So I quickly shifted 5 stitches onto the other needle and began working and VOILA! SUCCESS! I couldn’t believe that something so simple was the root of my problem with a simple stitch pattern (it is k one row, p one row, k2tog [yo-k1 3 times, k2tog 3 times] k 1 row – that’s it). I felt alternately dumb as a box of rocks and grateful for the help I received. 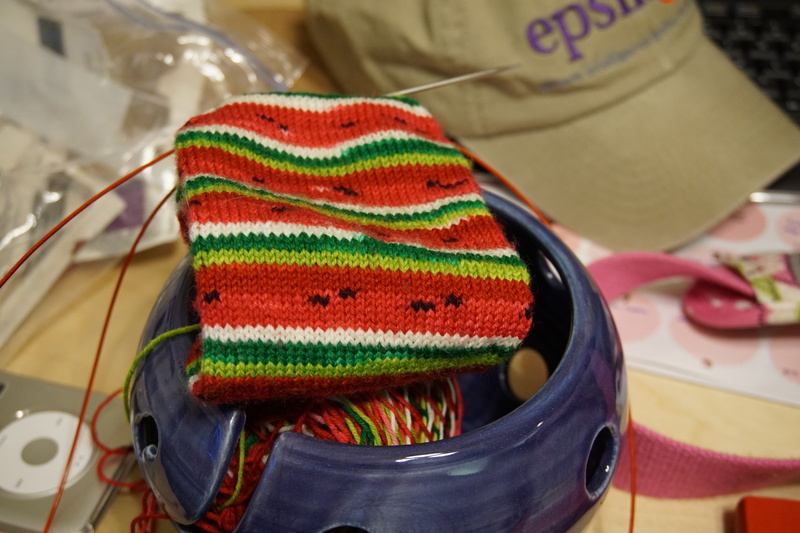 So I knitted away on that cuff finishing it up at about 2am – I couldn’t stop. But that’s the wonderful thing about a local merchant. They take the time to help their customers. It’s all about customer service for them – and, since that’s my profession appreciate it probably more than a lot of people would. Visit a local yarn shop and see what I mean – you will never want to leave! 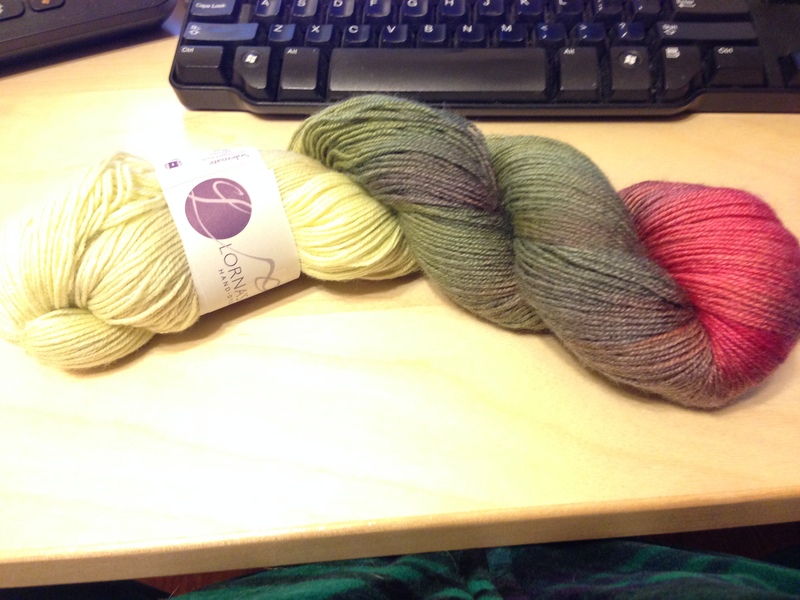 Local yarn shops are a good thing….